I had been looking forward to this book since it was first announced. It sounded interesting, looked great, and had some high power talent connected to it. Now that I have read the debut issue of Sword Daughter from Dark Horse Comics, I can say it was worth the wait. From Brian Wood, with art by Mack Chater, Jose Villarrubia, and Nate Piekos on lettering, the books is grim, yet not overly dark. 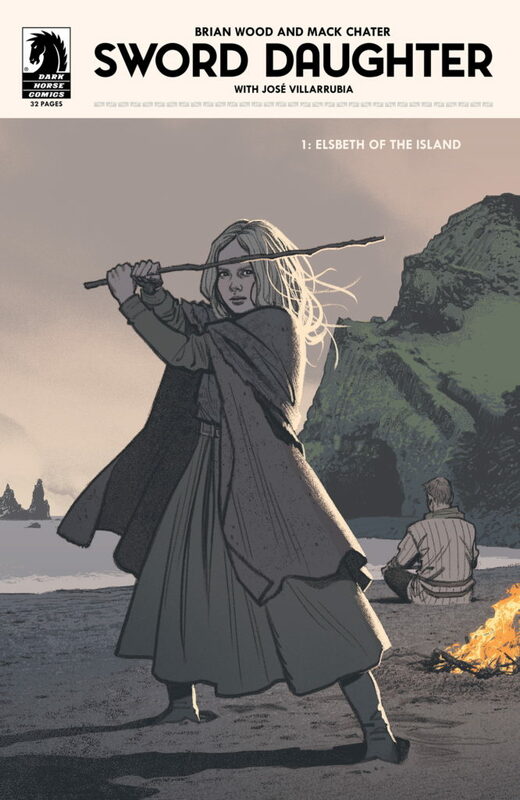 It’s the story of Elsbeth Dagsdottir, a young girl left on her own for 10 years after her village was destroyed by raiders known as the Forty Swords, and her father fell into a 10-year sleep. Once reconnected with her dad, her father starts to formulate a plan to destroy the Forty Swords once and for all. Set in the Viking era, we see her dad track down one of the Forty Swords, only to see that he isn’t the only one looking for revenge. This is a great start to this new series. A cinematic vibe, a plot of revenge, and an unknown in the young Elsbeth. Sword Daughter #1 is sharp and to the point.